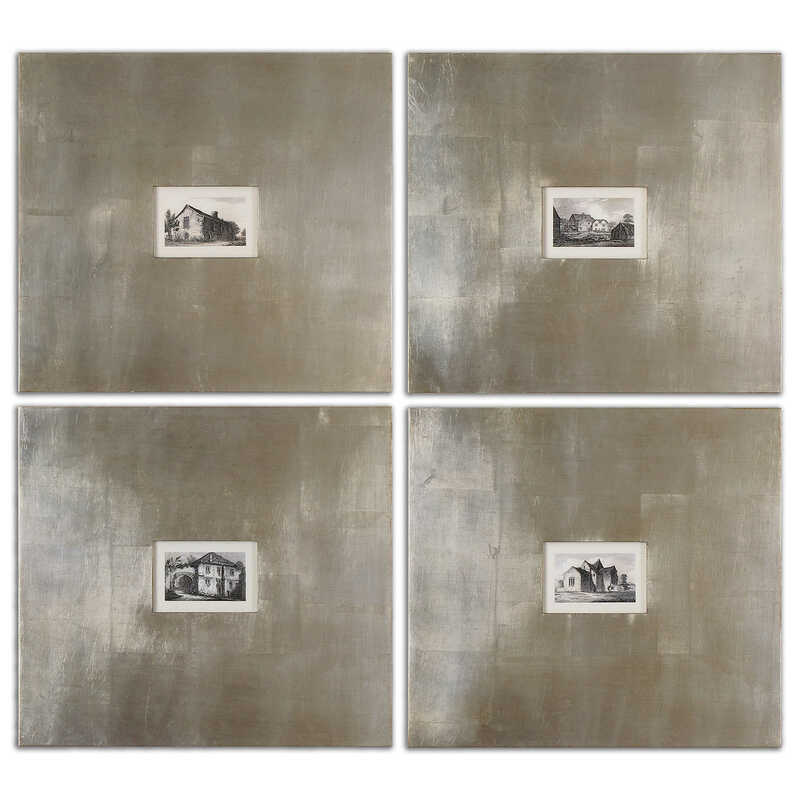 These vintage, architectural prints showcase a simple, black and white color scheme. 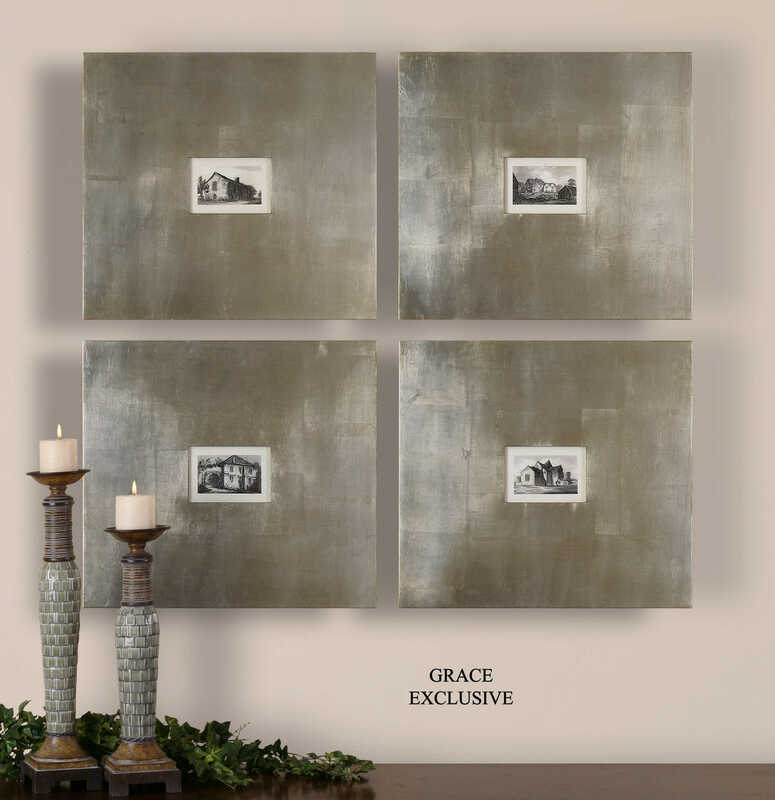 These prints are surrounded by an elegant 8" wide frame with a champagne silver leaf base and a light brown glaze. Each print is placed under protective glass.